I committed myself to a blog post each week this year and intend to honor that. I did not promise myself that every post was going to be a winner. I listened to the audiobook of Blitzed: Drugs in the Third Reich by Norman Ohler. You can get it through Hoopla if your city’s library system offers that service. Ohler examines the use of methamphetamines, cocaine, etc in the Nazi organization from the top down. From what I can tell, criticism was heaved at it by historians who thought it somehow tried to blame the Holocaust on Hitler’s drug addiction rather than the evil of a sober-minded Hitler. In fact, it does the exact opposite of that and Ohler makes it a point towards the end of the book to avoid that conclusion. I can only assume that the critics did not read the whole thing. Like any “expert” class, historians are not keen on new ideas. The book is another angle. It does not offer a defense. More than anything it shows how an outmatched army was able to wreak havoc on three continents for longer than should have been possible and how that success was unsustainable. The unanswered question for me is what becomes of an entire army of meth addicts after the war is over and their supply is cut off? That could not have ended well. When the Sistine Chapel was restored, historians argued that the restoration team removed too much dirt and also pigment because the color was so much more vibrant than they expected. 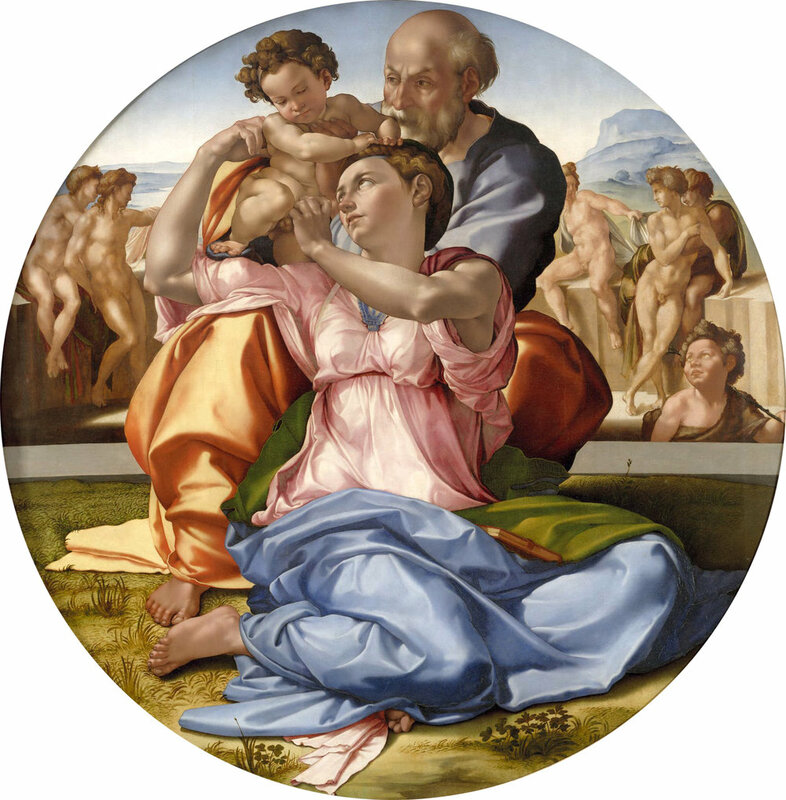 The better part of 100 years of art history spun that Michelangelo was not much of a colorist and much better suited to sculpture as a result. The revelation that the Sistine ceiling was vibrant could not possibly jive with history so therefore the conservation team was at fault. It could not just be that historians had been staring at a dirty ceiling for 200 years, ignoring a vibrant painting of Michelangelo’s hanging right there in Florence. No. That would require the rewriting of too many books. It was easier to blame a team that spent years inches away from the surface instead. My experience working at a museum tells me that conservation teams are more cautious and less swayed by conventional wisdom than historians. Raphael was begrudgingly impressed by Michelangelo’s effort on the ceiling. You need little more indication than that as to color of the ceiling. If it were muddy, Raphael would have made sure everyone knew. Below is a short video of a conservation team at work, repairing a Rothko damaged by vandalism. All that is to say is that Blitzed is an interesting read and sheds new light on something that has been poured over by historians for decades. It just took someone new to come along and look at the same information but choose to look at the bits that were otherwise ignored. I continue to work on the behemoth in the studio. I spent a few days going through 20 years of ink drawings and gluing them onto the panels. There is a drawing from May of 1999 embedded in the piece. I have since been blocking in large, black shapes that operate as abstracted trees. It is slowing moving because the paper gets 2-3 layers deep. I have some old linocut prints that I am cutting up and old scrap paper that I am printing or painting on to generate more black material. So far, the piece has sumi ink, water-soluble relief ink, mars black paint, black flashe paint and gouache on it. I am determined to go as far as I can into this thing without spending any more money. Just empty out the studio onto this piece. I am nowhere near the point where things have snapped together to reassure me that this is not going to be a complete bust. It looks like a giant failure right now, so I take comfort that it is at least fun to make. I will regain some confidence once the major shapes are in place. If nothing else, it is giving me ideas to pursue in other work. It is a bit like going to the moon so you can have Velcro and cellphones. Massive amounts of effort poured into one large goal that force you to come up with dozens of smaller solutions to make that possible. Those solutions will have other possibilities down the line. I watched the documentary, Behind the Curve, on Netflix. It is about people that believe the earth is flat. It is more of a character study of the people in this group than anything. I was hoping to hear more about their justifications and rationale for it rather than learning about them. Their theory for it gets boiled down to a guy that used to make paintings for NASA and some Truman Show logic. I think moon landing and JFK conspiracy theorists are extended much more respect and grace than the people in this movie. It felt like they were pointing cameras at people that were damaged during childhood and only damaging them more. We could avoid so much of this if everyone were just decent to each other in high school. This is not my best effort, but I am going to hit “Save and Publish” and get back to work. The new Solange album, When I Get Home, is the best thing I have heard in this very new year. The movie that accompanies it is solid as well. It opens in the Rothko Chapel, which apparently is an inspirational place for Solange. Any benefit the Chapel might have received from it has been upended because the Chapel just closed on Monday for the rest of the year for a major restoration.